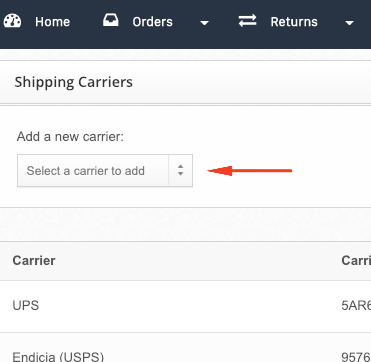 Click "Shipping" available on the top navigation bar (if you don't see this option, check your permissions settings). You will now see your connected shipping carriers. Once you've filled in your account number and meter number, tap connect. Your account should now be connected.